I don't use my circular saw very often. I usually prefer my table saw or my miter saw. But I *do* use it occasionally. I was at the BORG (Big Orange Retail Giant) a while back and they had a two pack of these Freud Diablo Framing blades for $9.95 so I grabbed 'em. My cheap $3 Harbor Freight blade was getting dull. 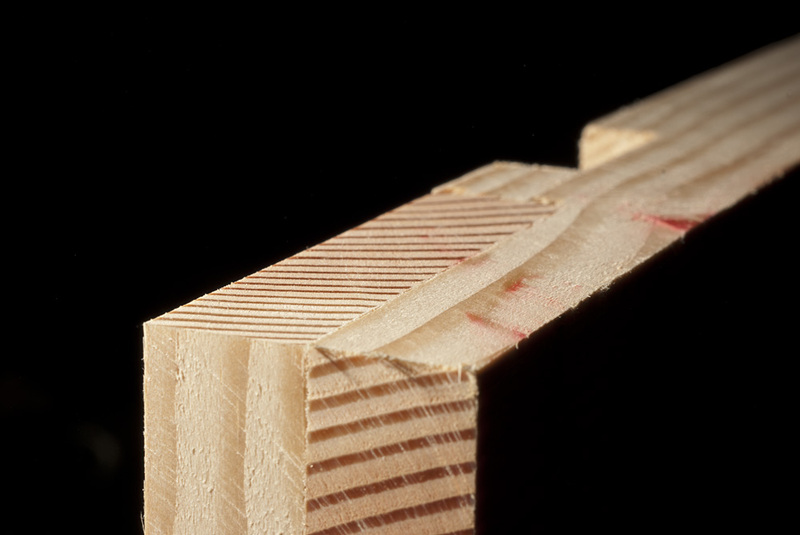 When I'm using a circ saw, I'm usually not needing precision, instead going for quick chops of 2x4's or something similar. 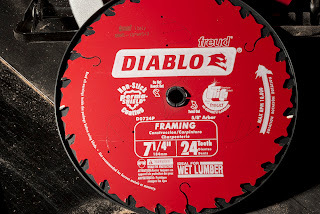 So I was satisfied with the performance of the HF blade in my cheapie circ saw from Wal-Mart. Until I tried the Freud blade. I needed to trim some overhanging bits of pine from a lapped joint. I could have used a router with a bearing bit to cut them, but precision wasn't required. So I went for speed: My circular saw. 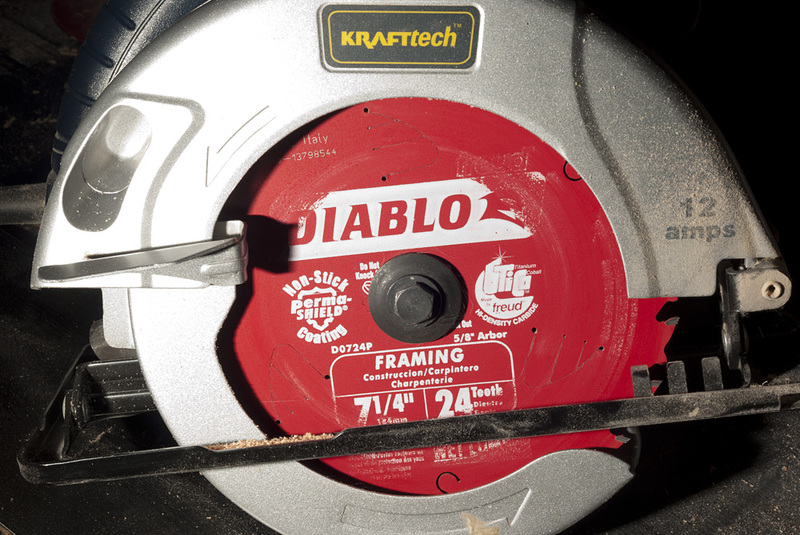 I loaded it up with the Freud Diablo Framing 7 1/4" blade and started cutting. I was impressed with how clean the cuts were on the endgrain! Smooth as glass on the endgrain, with light tearout where it brushed the long grain. Please note that the cut marks are from my crap saw or my technique, NOT the blade. It cut quickly and smoothly through the pine, something my HF blade never did. In fact, that HF blade would bog down my wimpy 12 amp saw when cutting pine 2x4's. But not the Freud Diablo. These are my first Freud blades, and I'm now impressed enough to replace my 9" Delta Industrial blades when they (finally) wear out with a Freud. My only complaint is the red paint/coating on the blade WILL come off on the wood if the blade body rubs against it. You can see some of that on the wood pic above. Otherwise I'm VERY happy with my purchase!